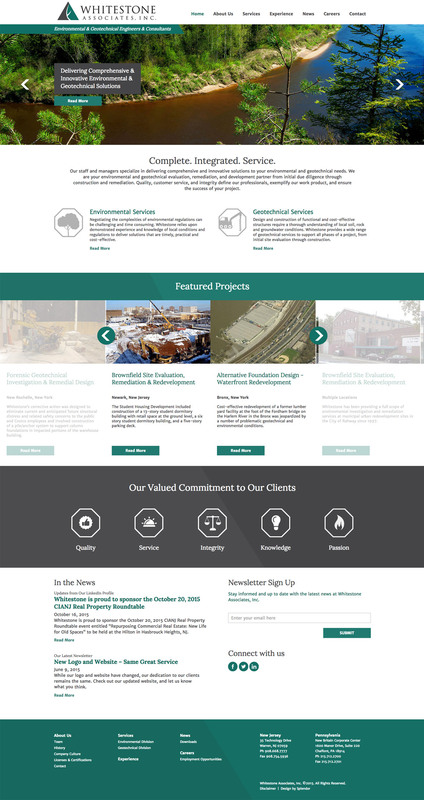 To design an updated, professional website for a, environmental and geotechnical engineering firm, highlighting the services and case studies of the company. Following the creation of a new logo and brand for the company, we designed a modern, elegant, professional website to represent the company’s diverse service offerings. The website showcases the extensive portfolio of finished projects, and offers convenient ways to contact the firm, including staff bios, contact forms and a built-in newsletter function, complete with sign-up form.